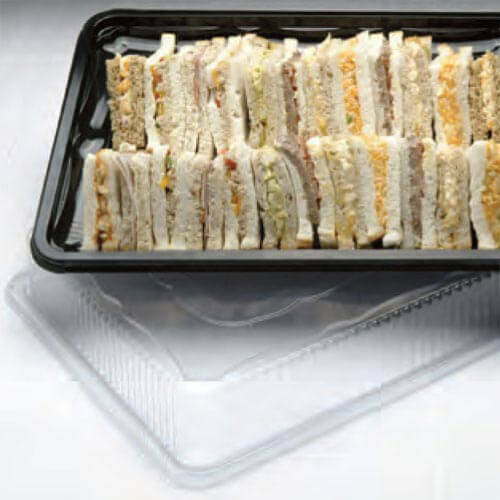 A clear "Prestige" sandwich platter lid 355 x 250 x 53mm. 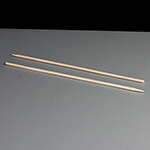 Bases sold separately. 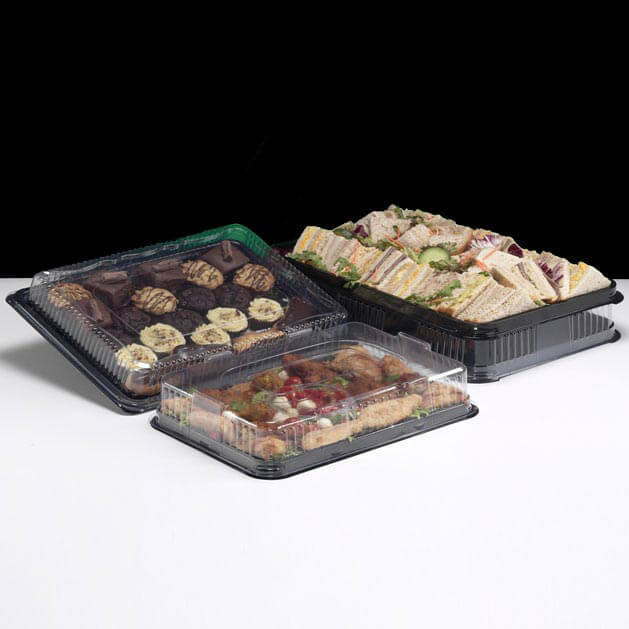 The bases and lids together are 65mm high, stackable and have a firm clip closure that is ideal for transporting sandwiches, cakes, meats etc. for parties/meetings/entertaining. 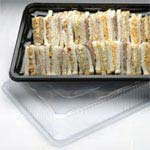 Feedback for Small Prestige Clear Sandwich Platter Lid (50) has been compiled from 0 reviews.